Born Amonute, Pocahontas was the daughter of the leader of the powerful Powhatan Confederacy. The confederacy dominated the coastal mid-Atlantic region when, in 1607, English colonists established James Fort, a for-profit colony, along the Chesapeake Bay. Pocahontas, a child at the time, often accompanied her father’s men to the fort, signaling that their mission was peaceful. Amazingly or not, the English arrived poorly equipped, lacked provisions and were almost entirely dependent on the Powhatan for food. Over the years, Pocahontas was among those who brought food to the fort. Relations between the English and Powhatan, however, were always fraught. And in 1613 Pocahontas, then about 18 years old, was abducted by the English and held hostage for more than a year. The Christian theologian Alexander Whitaker eagerly began to instruct Pocahontas, already learning to speak English, in the tenets of Anglicanism. While captive, Pocahontas met the colonist John Rolfe, who – according to various English accounts, including his own – fell in love with her. 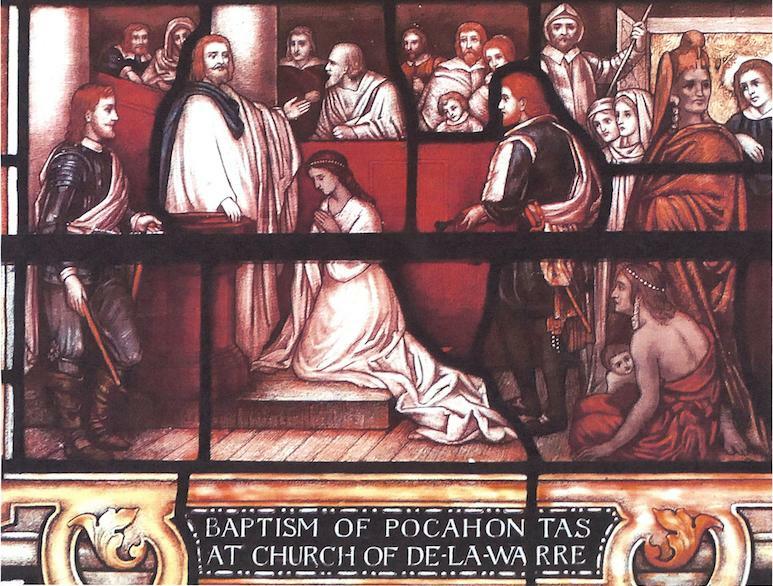 Pocahontas agreed to marry Rolfe and, shortly before her marriage, received a Christian baptism. It was Rolfe who developed the strain of tobacco that would make the colony prosperous, enrich its investors and Britain and eventually lead to the collapse of the Powhatan Confederacy. 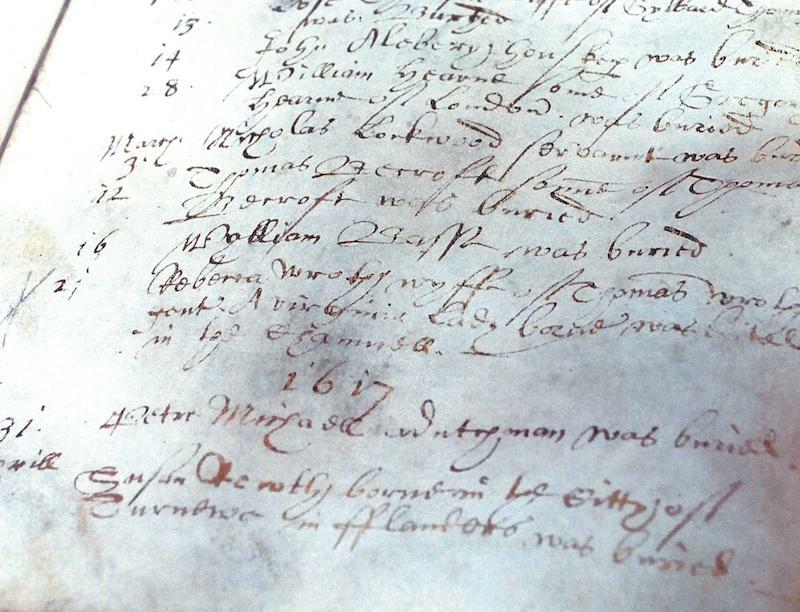 In 1616 Pocahontas traveled to London with Rolfe and their infant son, Thomas. Her trip was sponsored by the James Fort investors. 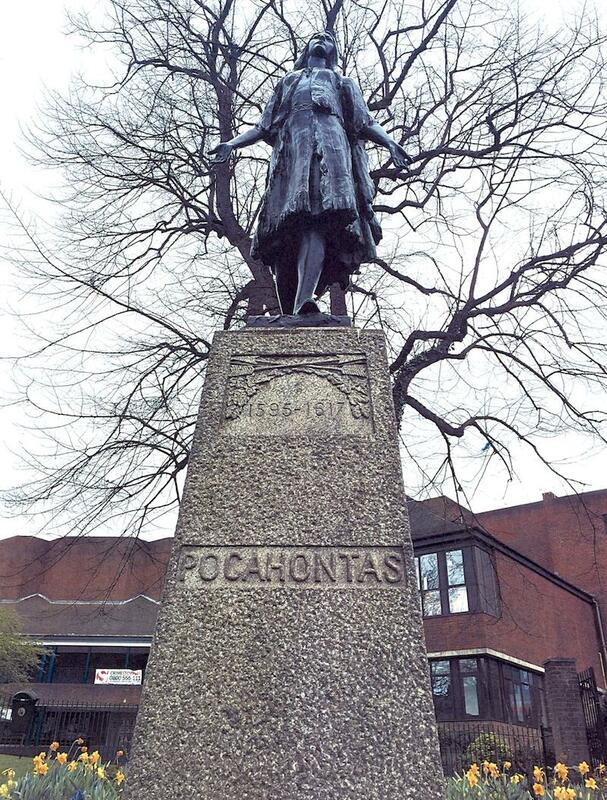 Famously, Pocahontas, accompanied by an entourage of high-standing Powhatan, was feted throughout London. She was twice received in the Court of King James I – to be presented to the king and to attend a Twelfth Night masque. Pocahontas never returned home. She died at outset of her return voyage and was buried in Gravesend, an ancient town on the banks of the Thames estuary. Although the broad strokes of Pocahontas’s biography are well known – unusual for a 17th-century indigenous woman – her life has long been shrouded by misunderstandings and misinformation, and by the seemingly inexhaustible output of kitsch representations of her supposed likeness. Within a few years after her death, the Theodore De Bry family’s 13-volume publication, America, translated into several languages, provided the bookreading public beyond London with what they considered to be their first real and comprehensive glimpse of the New World’s indigenous peoples, including Pocahontas. Four hundred years later, her name has become familiar to children worldwide through Walt Disney Picture’s 1995 animated film Pocahontas, strong on memorable melodies, although weak on historical and cultural accuracy. It is known that, while she was in London, Pocahontas met Captain John Smith, at one time president of the council for the James Fort colony, and expressed her displeasure with him and those of his countrymen who “lie much.” Those familiar with the facts of Pocahontas’s life, however, are only too aware that her thoughts surrounding the events that dramatically impacted her and her people are largely unrecorded by history. The Pocahontas and after conference brought together approximately 50 international scholars – including several Native scholars – from a variety of disciplines to reflect upon what is actually known of Pocahontas’s life and times, on both sides of the Atlantic, and on the ways in which her life has been construed and misconstrued over the last four centuries. To give but a suggestion of their scope, conference papers ranged in topic from American Indian marriage practices for establishing and maintaining political alliances, to the lives of two English boys allowed to live among the Powhatan in order to learn Algonquian, the biblical significance of the name Rebecca, the startling number of American Indians who voyaged to London in the early 17th century, the James Fort investors’ motivations for bringing Pocahontas to London and the political meanings embedded in the three representations of Pocahontas on view in the Rotunda of the U.S. Capitol. Pocahontas continues to hold a singular and singularly contested place in history. The Pocahontas and after conference achieved in conveying to all present that the shroud covering Pocahontas’s life needs to be lifted. For the anniversary week of Pocahontas’s death, and to commemorate her life, the rector of St. George’s Church, the Rev. 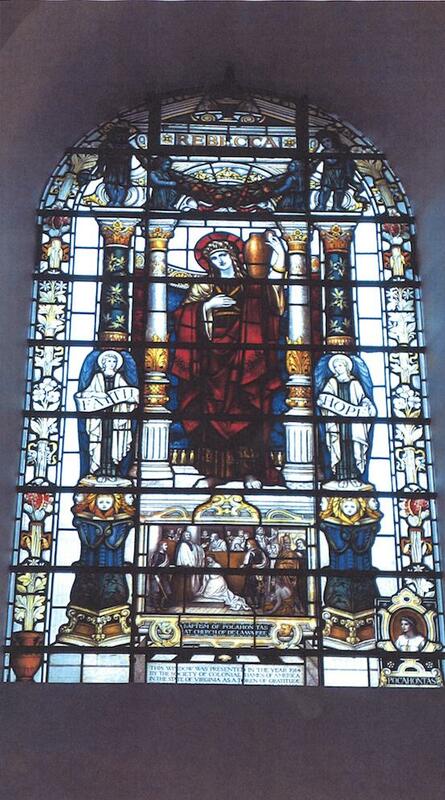 Canon Christopher Stone, displayed the church registry that dates back to 1597 and records her burial. 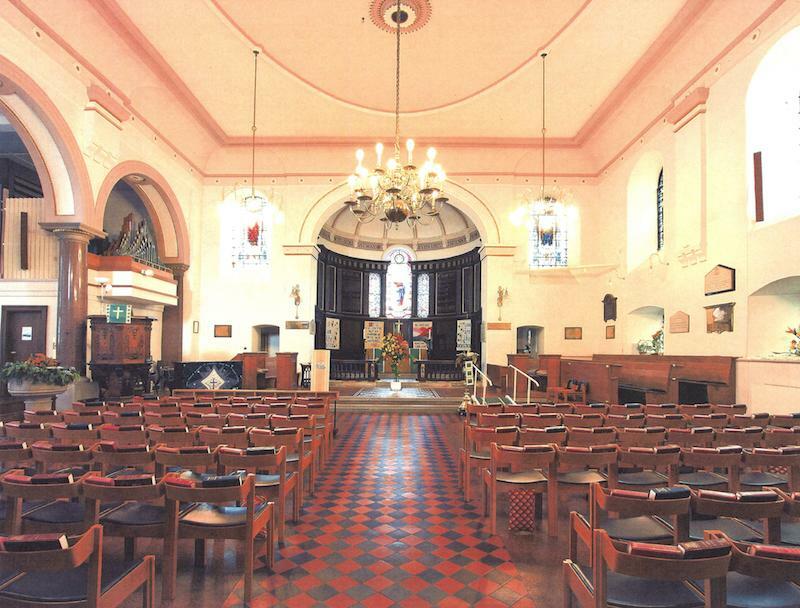 In keeping with the Christian and English tradition of acknowledging the death of a person of high social standing, Pocahontas was buried in St. George’s chancel. The registry is poignant evidence of the life of a young Powhatan woman who lived and died in the maelstrom of the British–Powhatan encounter in the early 17th century. It seems likely that we will never fully know what Pocahontas thought of her abduction, instruction in the tenets of Anglicanism, marriage to John Rolfe and experiences in London. But an understanding can be built around her life based, not on fabrications, but on Pamunkey knowledge and scholarly research that cuts through 400 years of appropriations, misinformation and romanticism. There emerged at the conference a sense that a picture of early 17th century life in the mid-Atlantic region can be brought to light that gives greater insight into the clash of empires that occurred in the heart of the Powhatan Confederacy and that illuminates the historic processes and legacies of European colonization, and Native strategies for confronting them. Based on English sources, Pocahontas’s birth date is estimated to be 1595. Pocahontas was a nickname given to her by her father. Matoaka was Pocahontas’ private name, which she herself revealed to the English colonists. Rebecca was the Christian name she received when she was baptized. Lady is an English title accorded noblewomen. Pocahontas was recognized as the daughter of an emperor of Virginia. For a history of the various editions of Bazilioologia: A Booke of Kings, see H.C. Levis’s discussion of them in The Grolier Club’s 1913 reproduction of the 1618 edition of Bazilioologia: A Booke of Kings, Notes on a Rare Series of Engraved Royal Portraits From William the Conqueror to James I. It is available online. Pocahontas entered European history books before she even sailed to London. In 1614, two years before her transatlantic voyage, Ralph Hamor, one of the original James Fort colonists, published A True Discourse of the Present State of Virginia. In it he described her abduction. In 1619, the Theodore de Bry family published volume 10 of America and not only recounted the abduction story, but illustrated it with an engraving. In 1624, Jamestown colonist John Smith published his, The Generall Historie of Virginia, New England & the Summer Isles, and in it he included, for the first time, his dramatic account of his capture and imminent death at the hands of Powhatan and his men. He described how his life – and by extension, the colony – was saved by Pocahontas. 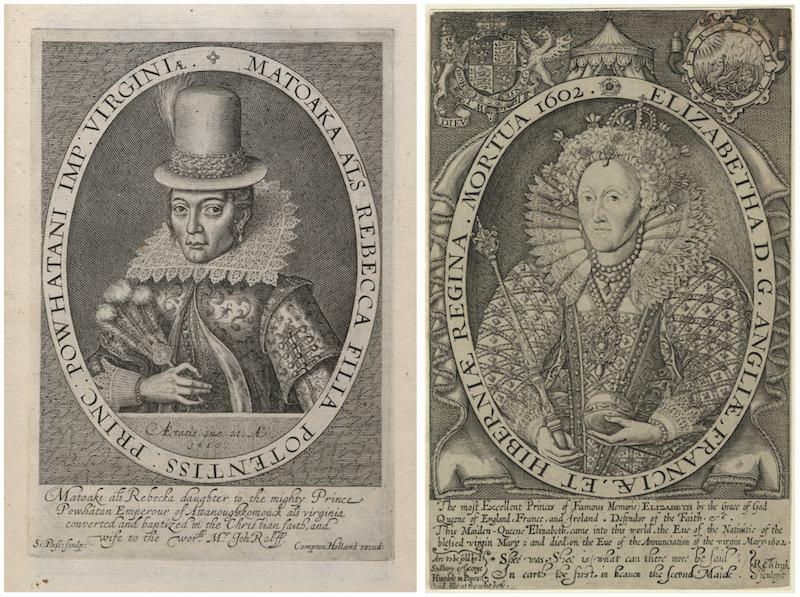 The Simon van de Passe Pocahontas portrait was published in Smith’s The Generall Historie of Virginia, as well as in certain editions of Bazilioologia: A Booke of Kings.